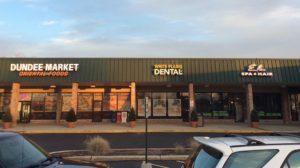 Northbrook dental office, White Plains Dental is conveniently located in the White Plains Shopping Center, at the corner of Dundee and Landwehr. We are proud to be in the Northbrook community. We have evening hours and Saturday hours to fit your busy schedules. We have a NEW modern office that is high tech, comfortable, clean and very bright. Our patients can enjoy TV during their dental treatment! 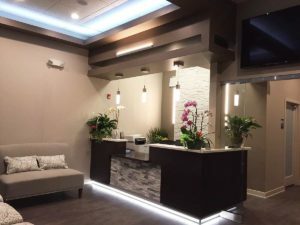 White Plains Dental follows the strict guidelines of the Center for Disease Control (CDC) and the Occupational Safety and Health Agency (OSHA) for sterilization and disinfection. You will be treated with respect by the friendly and knowledgeable staff in our Northbrook dental office. Our Northbrook Dental Office accepts most dental PPO insurance plans. Contact us at (847) 787-1155 to get the maximum insurance benefit allowable for your insurance plan. We will work with you and your insurance company to process your claims. We are currently “In Network” for the following dental PPO plans. If you do not see your plan listed, please call us. We are in the process of adding additional plans. Payment is due at the time service unless other arrangements have been made in advance. We offer a variety of payment options to ensure that your dental treatment, emergency care and cosmetic procedures are affordable. We accept cash, checks, MasterCard, and Visa credit cards. White Plains Dental, your Northbrook dental office, will protect your privacy. The office adheres to HIPAA Regulations for patient information.